Notes: Seedley station was located on the Liverpool & Manchester Railway (L&M), the world’s first purpose-built passenger railway that linked two major centres of population. It has been called the earliest ‘Inter-City’ railway. The line opened to public services on 16 September 1830 and was an immediate success. On 8 August 1845 the L&M merged with the Grand Junction Railway which a year later on 16 July1846 became part of the London & North Western Railway (LNWR). By the 1880s the former L&M route had been quadrupled between Patricroft and Manchester Exchange and there had been westward-spreading urban development in what is now known as the City of Salford. 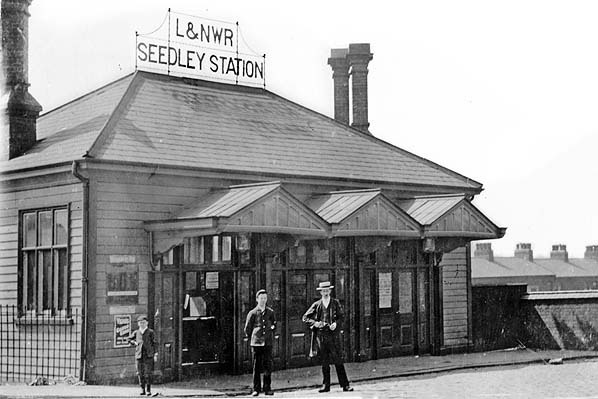 To cater for the development around Seedley a station was opened by the LNWR on 1 May 1882. 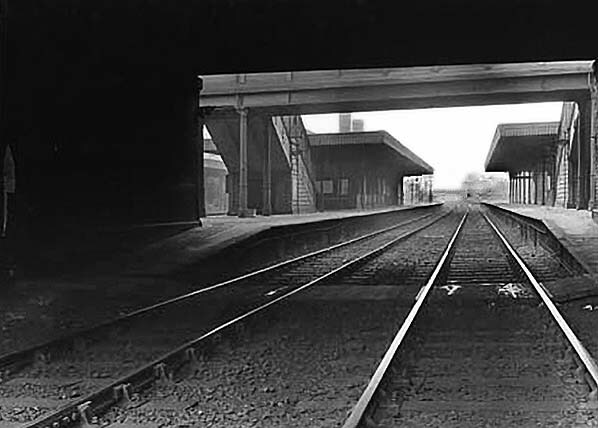 The station was located on the west side of Langworthy Road which passed over the railway on a bridge. The main entrance was at street level on the north side of the line. It consisted of a neat timber building with a hipped roof and two tall square chimneystacks at each end, set at 45deg to the building. The entrance was sheltered by an awning consisting of three pitches, its gables at right-angles to the façade. Covered steps and a footbridge connected three platforms to the entrance building. One of the platforms was an island with two faces which enabled all four tracks to be served. On each platform there were passenger facilities including waiting rooms and toilets. They were housed in austere timber buildings, but flats awnings of generous dimensions stretched to the platform edges and were finished off with modest serrated valances. Seedley was not provided with goods facilities. The December 1895 timetable showed thirty-eight up and thirty-seven down trains Monday-to-Saturday as seen in the table below. At peak times was a very intensive train service. There was an extra down train on Mondays and the station was even well served on Sundays. The July 1922 timetable showed Seedley as having a reduced service of twenty-one up and twenty -four down trains Monday-to-Friday. On Saturdays there were nineteen up and twenty-two down trains. No trains called on Sundays. On 1 January 1923 Seedley became part of the London Midland & Scottish Railway (LMS). The LMS provided a similar level of service to the LNWR with the same destinations being served. With the outbreak of the Second World War on 3 September 1939 timetables were altered and services reduced. Even after the war had ceased passenger services at Seedley did not return to the 1930s levels. The LMS timetable for 1947 showed ten up and five down services on Monday-to-Friday with concentrations around the peak hours as seen in the table below. On Saturday there was one fewer down train but the middle part of the day was better served. No trains called at Seedley on Sunday. On 1 January 1948 Seedley became part of British Railways [London Midland Region] (BR[LMR]). The BR[LMR] summer timetable for 1953 showed ten up and five down services Monday-to-Friday. On Saturdays there were nine up and five down trains. With such a poor level of service Seedley was proposed for closure and all services were withdrawn from 2 January 1956. The station was demolished shortly after. Only sections of retaining wall on the south side of the line remained to show where the station had been. 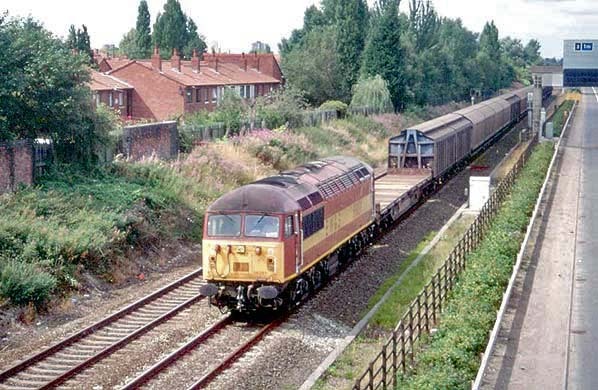 In the late 1970s the line through Seedley was reduced to a double-track railway and in the early 1980s the M602 motorway was constructed in parallel to the railway on its north side. The motorway used land that had previously been part of the four track railway. In 2016 the former L&M was still a busy main line railway carrying a variety of traffic. It was electrified through the site of Seedley station in 2013. The street level building at Seedley station seen in the early years of the 20th century. Seedley station shown on a six-inch scale map from 1894. Seedley station shown on a 1:2,500 scale map from 1916. The slow line platforms at Seedley station seen looking west in the 1920s. Up slow line trains called at the platform to the right and down slow line trains the platform to the left. 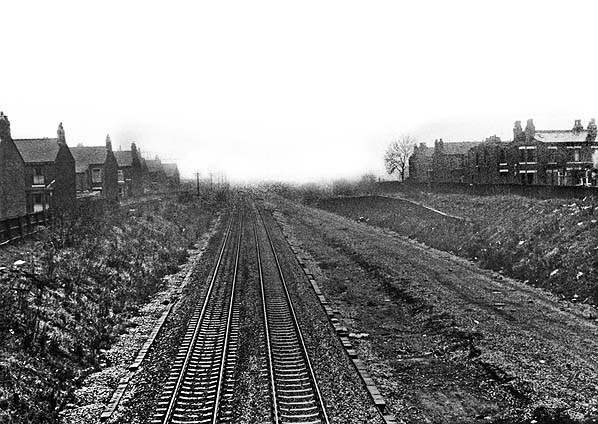 The site of Seedley station looking west in March 1975 after the line had reverted to being a double track railway. The station had been completely demolished. The site of Seedley Station looking west in 2003. Parts of the station wall can be seen in the picture.